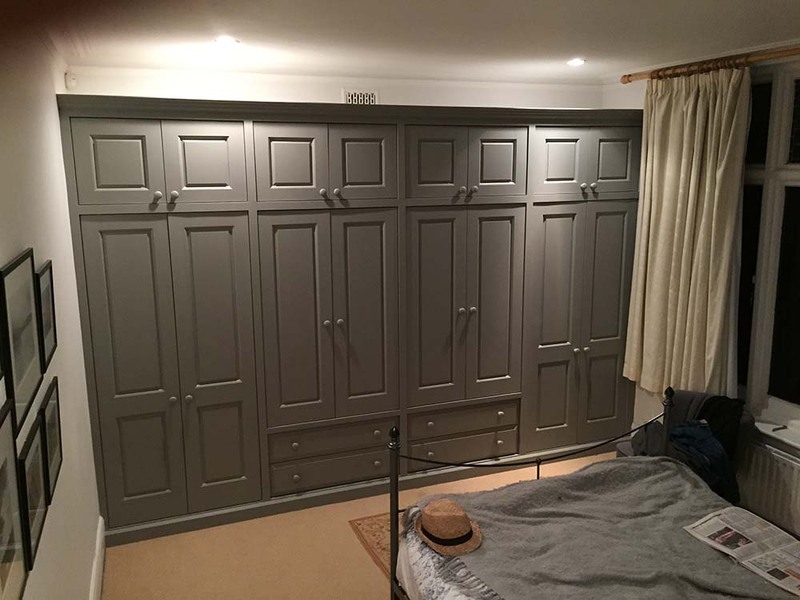 A whole wall has been filled with wardrobes, with full-extension soft-close doors and drawers. Made to measure, there is very little wasted space at either end. Other companies fit standard sized wardrobes, and fill the spaces at either end with ‘blanking panels’. As everything made by us is made to measure, there is no need for this.